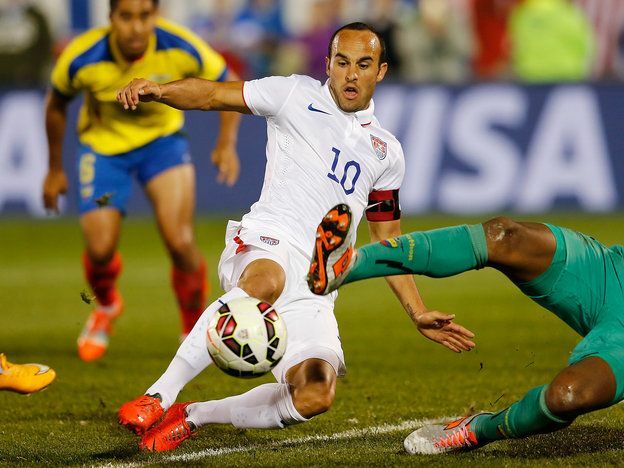 USA Soccer legend Landon Donovan has called time on his footballing career. The MLS star said the retirement is from professional football and that it is with immediate effect. This is not the first time he is retiring. He did two years ago but then he came out of it to help his struggling former club Los Angeles Galaxy in the Major League Soccer. Landon Donovan may have retired from the game, but it seems that he retains a keen interest on football – especially the MLS. The former LA Galaxy forward is regarded as one of the greatest strikers to have represented the United States national team. However, he came up with a sudden announcement of the retirement to shock the world at just over 30. Even though he came out of retirement only for a few months before going out of the game, Donovan’s best years seemed to be behind him even when he retired. However, he remained a model professional throughout his career. Landon Donovan says that the current US national team roster happens to be one of the most talented in the national team’s history. The former LA Galaxy forward recently announced his retirement from the national team for the second time. It was a huge surprise considering that everyone regarded as one of the greatest players in the US national team history, while he was only 32 years old. Bruce Arena’s return to the United States Men National Team begun with a goalless draw when they clashed with Serbia on Sunday. The first soccer game for the side since the sack of former coach Jurgen Klinsmann ended on a not-so-good note. Klinsmann was fired for the string of losses the team suffered in their World Cup qualifying campaign. The decision comes as a major surprise considering that Donovan revealed about his return to football only two months ago. After having been part of the LA Galaxy outfit for the last two months, the 34-year-old has once again decided to go to football – for a second time.